We know that too much sodium is linked to hypertension and heart disease, but recent studies show that for some individuals with hypertension, a salt-restricted diet alone may not lower blood pressure. So what’s the deal with salt? 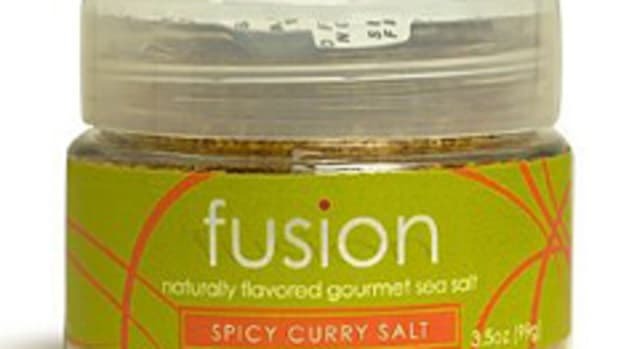 Does table salt have more sodium than gourmet sea salt? As a recipe developer and resolute sea salt-lover, I had to get to the bottom of it. After some serious research (and turning up many conflicting studies), I made some headway on the question: Are all salts created equal? A good starting point in understanding salts is just defining which is which. All salts we consume come from one of two places: the ocean or the land. Sea salts are taken from the ocean, while all others are mined from land sources. The following are the most common types of salt we use. 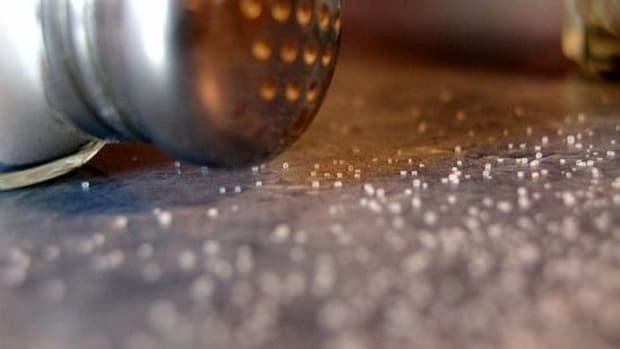 Table salt, the most common white salt in salt shakers and processed foods, is made by evaporating all the water out of salt deposits until pure salt remains; most if not all other minerals are removed in the processing of table salt. 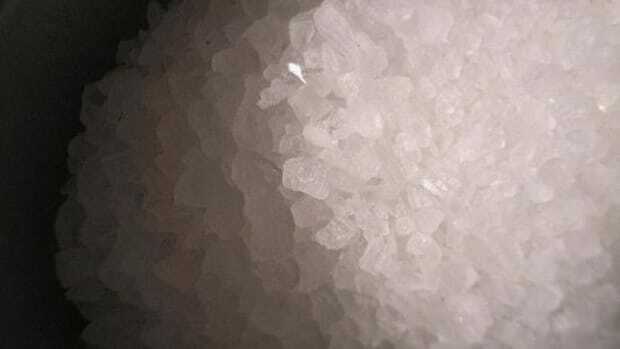 In most commercial table salts, iodine is added as a means of preventing deficiencies (along with a myriad of other controversial additives like fluoride and “anticaking agents”). 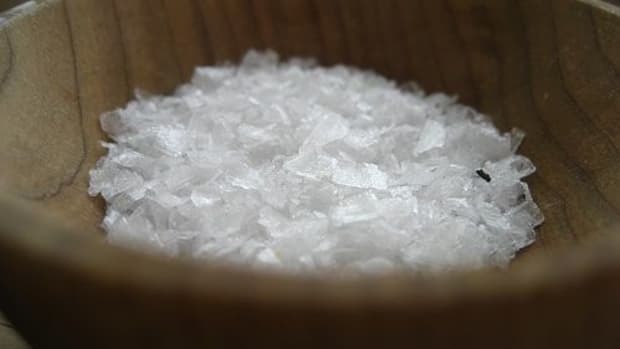 Kosher salt is harvested and processed much like regular table salt, but it’s raked into larger, thicker crystals. In addition, no additives like iodine are added to kosher salt. Rock salt, which is also marketed as the exotic “Himalayan salt,” is usually mined salt that is coarser and less refined than table salt. It is thought to have a few remaining trace minerals, though it may also contain traces of impurities like gypsum. Sea salt is essentially salt from the ocean. Sea water is evaporated (or sun-dried) until mostly salt is left. 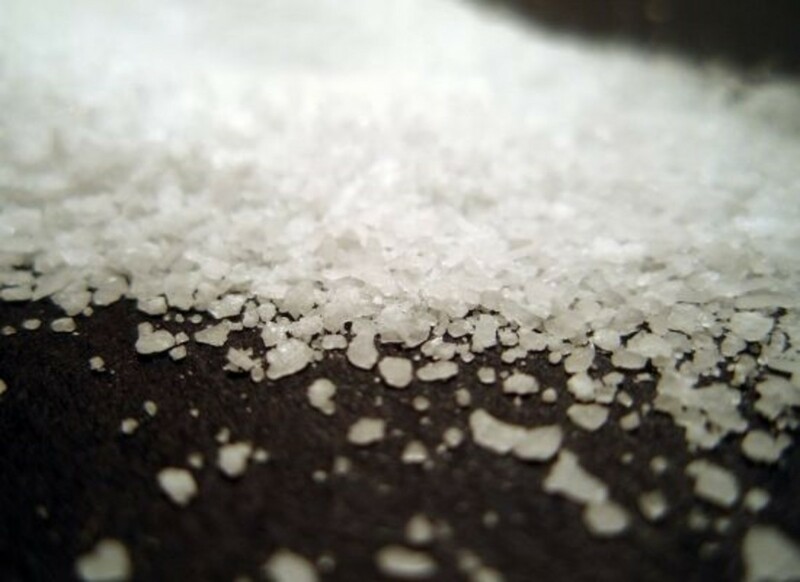 Sea salts are less processed than white table salt, and so they are typically richer in naturally-occurring minerals like calcium, magnesium, bromide and sulfur. Fleur de sel, or “flower of salt,” is hand-harvested sea salt made by raking just the top layer of salt from the waters. It typically has a pinkish hue that results from the activity of naturally-occurring microalgae. This salt is also said to have a higher proportion of trace minerals—calcium, magnesium, potassium, iron and iodine, in particular. While sea salt and culinary salt companies market their products as “lower in sodium” than traditional table salt, there is little research thus far supporting this idea. The most recent research actually states just the opposite, in fact—that most culinary salts are very similar in sodium composition. Most salts average around 97-99% sodium chloride, with the lowest rankings coming in with French sea salt, which may rank (depending on the brand) as low as 90-92% sodium chloride. Still, the difference there is relatively negligible. 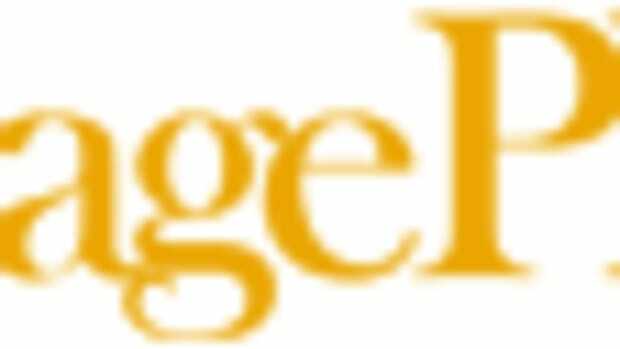 Nutrition expert Monica Reinagel, M.S., L.D. reports that minerals like potassium and calcium, when occurring naturally in our diets, appear to counter the effects of sodium in our food. These minerals are found in fruits, vegetables, whole grains and dairy products—exactly the same foods that experts recommend you eat to fight hypertension. 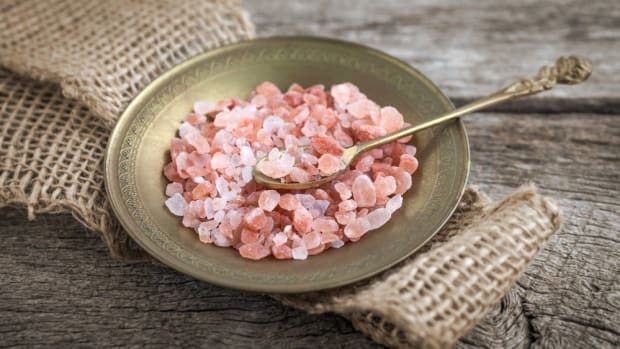 Not surprisingly, these are some of the same trace minerals that are present in the sea salts and more unrefined salts—so there may be a grain of truth to the notion that the less-processed salts may be less harmful on the body. In addition, as Reinagel notes, there is supporting research showing that our bodies are less able to counter the effects of sodium when we are ingesting a lot of sugar. Yet again, this shows why a diet low in sugar (and processed foods) is better for fighting hypertension. The Harvard School of Public Health has made several recommendations for keeping sodium intake in check. 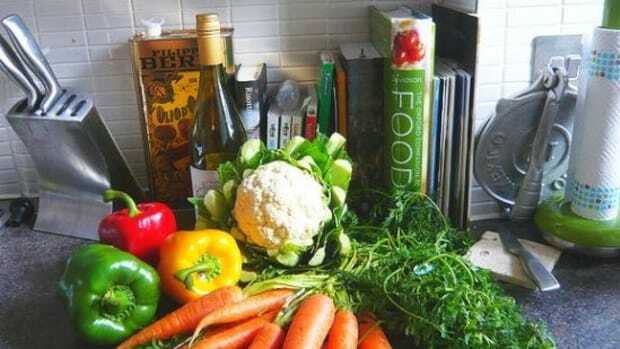 Avoiding processed foods (including pizza, white flour foods, hot dogs, canned foods, boxed foods and bottled foods) and eating fresh fruits and vegetables are some of the key points made. Once again, it seems to all boil down to two things: Avoiding processed foods not just because they are high in sodium, but because they are devoid of other key nutrients removed in processing; and eating whole foods, because they supply the naturally-occurring nutrients our bodies use to stay balanced and healthy (even while still consuming salt from natural, whole foods). While I was initially disheartened to learn that my unrefined and gourmet sea salts may not technically be lower in sodium chloride than Morton’s table salt, I’m ultimately reassured that the trace minerals still present in my salts may be doing some good after all. And by avoiding processed foods and refined salts, we can all hopefully cut back on our chances of developing hypertension. 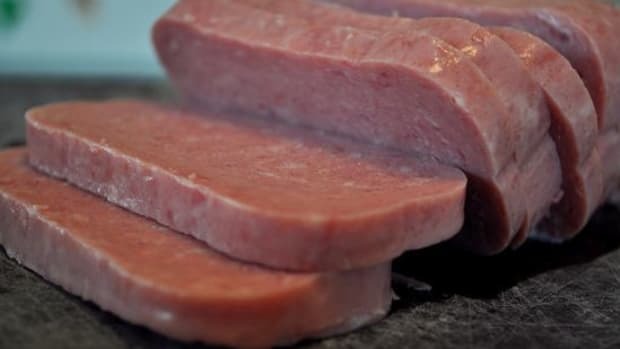 Salting Food: When's the Right Time?